With over 100 celebrities, Tiki and friends give you their intimate cooking stories and recipes from within their homes. 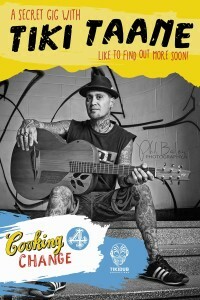 This book will be available to buy very soon with all proceeds going towards the Auckland City Mission, Starship Foundation, Paw Justice, Leukaemia & Blood Cancer NZ. 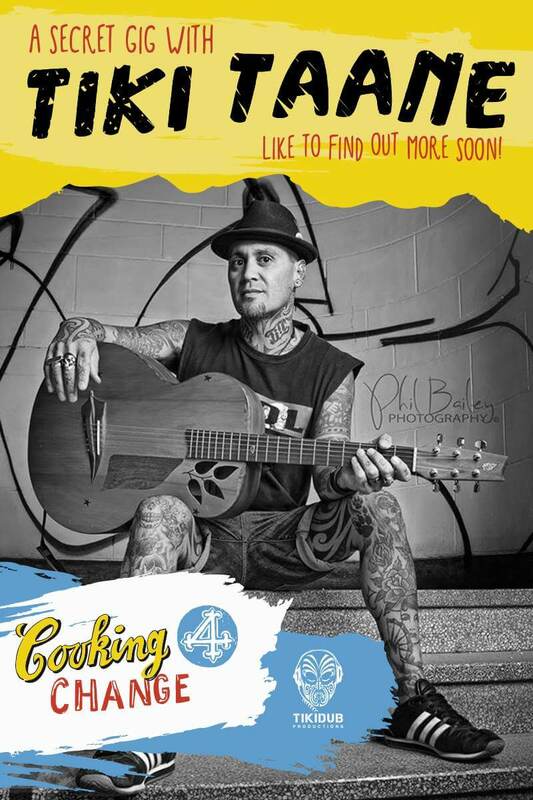 To learn more on how you can support and order your cook book, jump over to the Cooking 4 Change FB page now… once the page reaches 3500 likes they will reveal some more information about an exclusive gig that Tiki will perform for Cooking 4 Change!